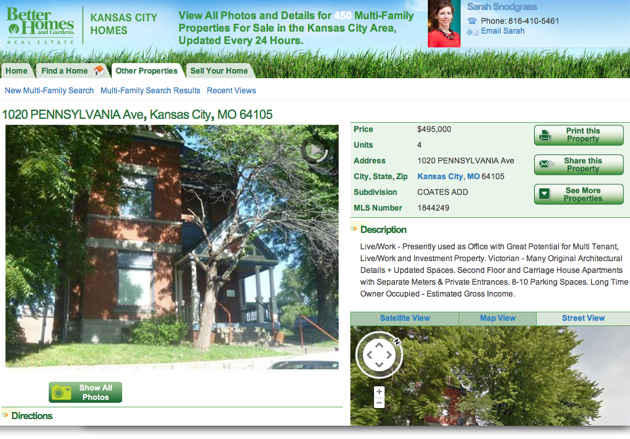 I just ran across this mixed use property for sale in MLS. From the outside, it just appears to be an old brick victorian home, but on the inside it is presently used as an office with apartments. It is located at 1020 Pennsylvania on the southwest corner of the downtown loop. The area is mixed with commercial office space, condos, and apartments. How interesting! It is listed with Jan Peterson of Reece and Nichols.